According to the report by Foundation for Polish Science working in Poland can be seen as hurting your scientific carrier. We do not really agree with it and the above meme was meant to be self-ironic. It of course could be better - as everywhere. 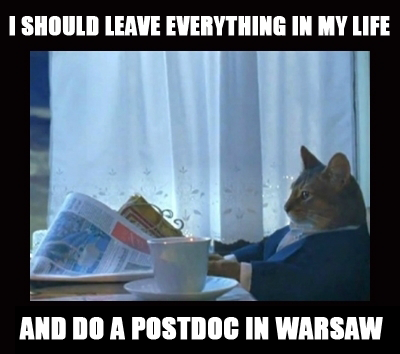 Anyway, information pills if you would like to see how it is to work in Poland we have two postdoc positions in algorithms open - see the call.